Never have a grey day again with this bright wrap necklace! 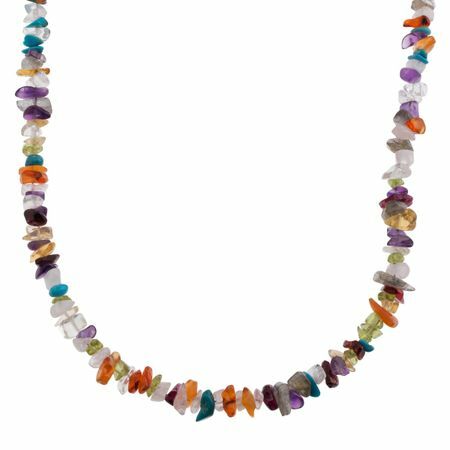 This long, colorful necklace features chips of natural multi-stones, perfect for when you need a bold pop of color to brighten up your outfit. Necklace measures 48 inches long, plus a 2-inch extender for adjustable length, and features a lobster clasp.